His Imperial Majesty the Ooni of Ife, Oba Adeyeye Enitan Ogunwusi, Ojaja II is set to engage the youth through musical talent hunt tagged “OJAJA II MUSICAL TALENT HUNT AND CONCERT“. 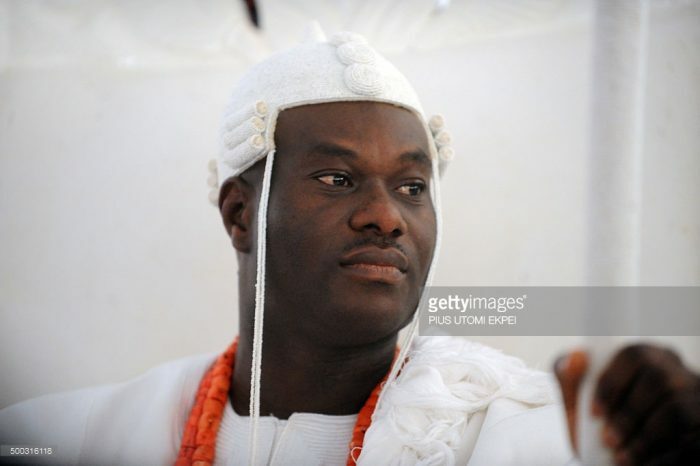 This was said by Ooni’s Director of Media Comrade Moses Olafare and the event’s Project Director, Alhaji Rotimi Osobemekun at a joint press briefing in Ile-Ife. According to them, the planned first of its kind event which will have top-notched celebrities and producers in the Nigeria entertainment industry as judges during the auditioning and event day in attendance will give opportunity to Nigeria Youth especially the upcoming and undiscovered talents in Ile-Ife and Yorubaland to showcase their musical talent, network and have fun. While Mr Osobemekun confirmed the event which has already been handed over to reputable indigenous event company NUFF JAMZ ENTERTAINMENT for proper planning will take place in August while the auditioning commences in May 2016. He also thanked the monach for this gesture which will not only add value to lives of Nigeria youths only but will also see them shun all form of anti-societal vices. “Gentlemen of the press, am happy and proud to tell you that a reputable indigenous event company known as NUFF JAMZ ENTERTAINMENT is in charge of this yearly event taking place in August while the auditioning commences in May 2016. Many thanks to our youth oriented monarch Ooni Adeyeye Enitan, Ojaja II for this gesture which will not only add value to lives of Nigeria youths only but will also see them shun all form of anti-societal vices”. Osobemekun maintained. Comrade Olafare on his own described the event as a laudable Initiative by His Majesty created for talented youth in the country as part of his commitment to his job creation and youth empowerment agenda which will also see a winner emerged with a price tag, album recording deal and a brand new car, sponsored by the youth friendly Monarch. “This very laudable Initiative by His Majesty created for talented youth in the country as part of his commitment to his job creation and youth empowerment agenda. You all will recall that Kabiyesi being a youth himself made a pledge during his coronation which he dedicated to the youth to aggressively and relentlessly work for their upliftment with a view to giving them their place of pride within the Nigerian setting”. Olafare said.